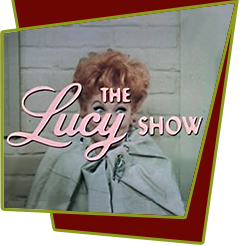 Lucy follows Mr. Mooney to a Native American themed hotel because he has left without signing some important bank papers. While searching the grounds for him, some local natives confuse her for their rain goddess, since she's the dead ringer for goddess' image on their totem pole. They force Lucy into a tribal rain dance. For her rain dance, Lucy does 'The Charleston'. They also think "Hopalong" Mooney, dressed in black, is an evil spirit. If she doesn't succeed in dancing up a rain storm, they're both in trouble. Special Notes: The two "modern" braves are played by future M*A*S*H* (1972-83) performers Jamie Farr and Alan Reed Jr., the son of the voice of TV's Fred Flinstone.